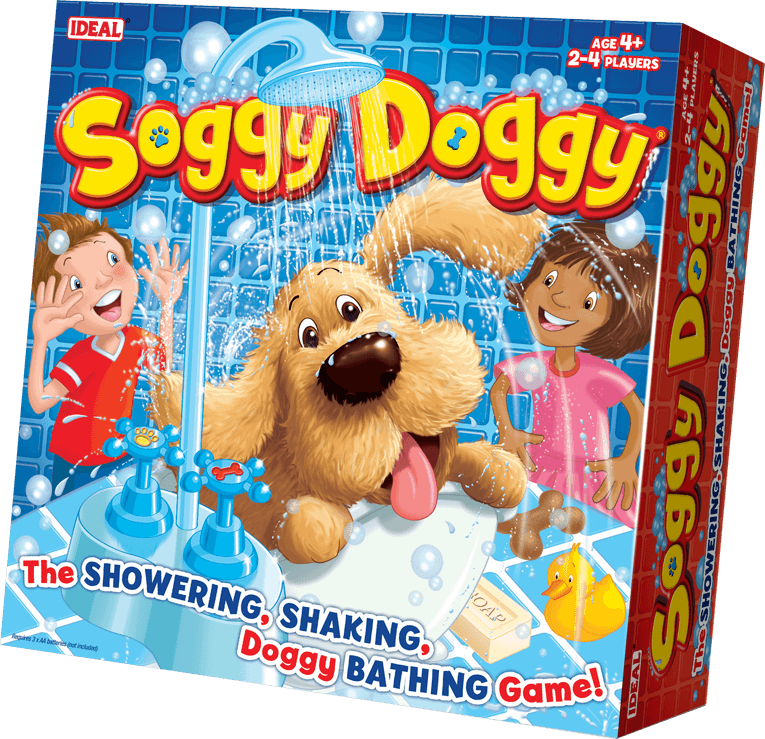 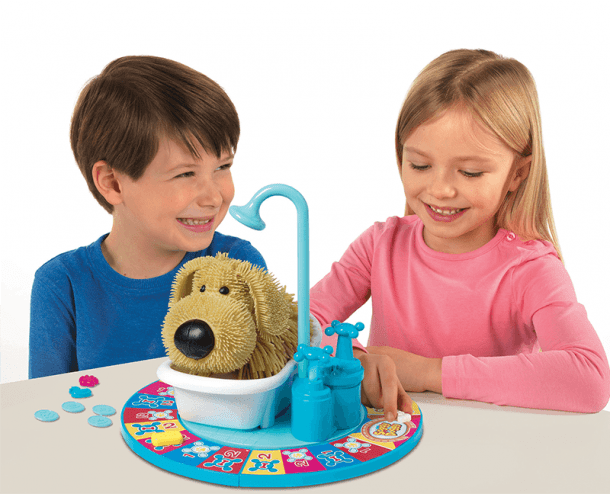 Soggy Doggy is the showering, shaking, doggy bathing game! 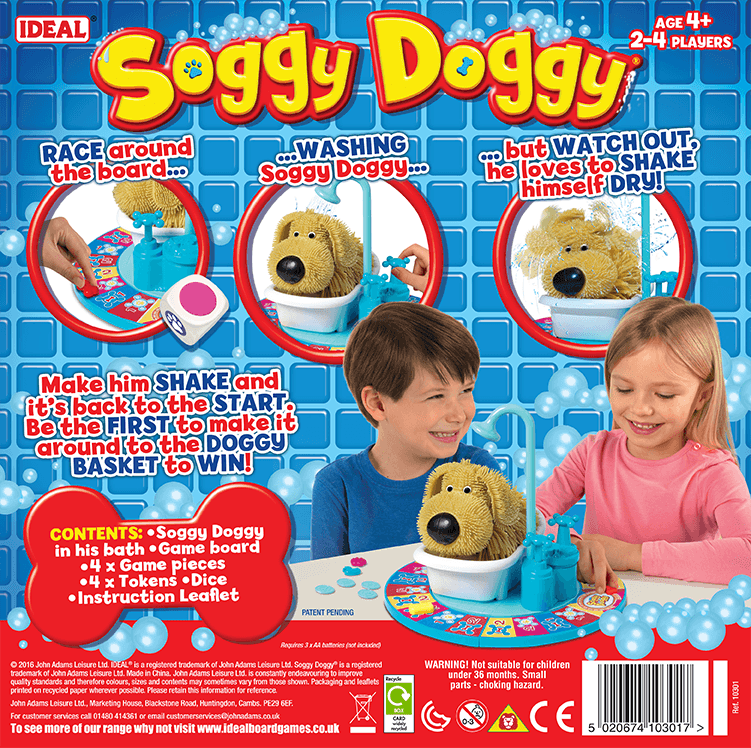 Make him shake and it’s back to the start. Be the first to make it around the doggy basket to win! 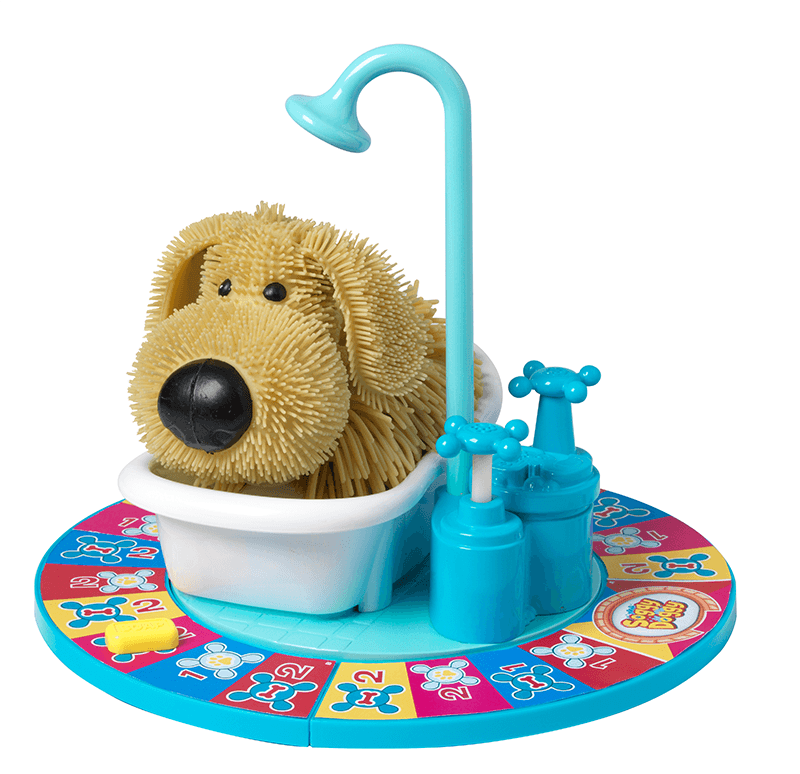 Contents: Soggy Doggy in his bath, game board, 4 x game pieces, 4 x tokens, dice and instruction leaflet.